Torinese, who lived in the first half of the nineteenth century, an artist with an extraordinary talent, a skilful manipulator, a charismatic bearer of the public, literally conquered Europe astonishing spectators in the theaters and at the most influential royal courts. He even inspired fashions (people talked and dressed "in the Woods") and his name in many languages ​​became synonymous with "illusionist". The book, based on articles and reviews of the time, tries to distinguish the true news from those "inflated" or false that the publications up to now have repeatedly handed down. Between one show and another, we will know his personality, his promotional techniques, his tricks and his repertoire, but we will also discover his relationship with the wives, the birth of children (more than we thought until today) , the relationship with the prestigiani colleagues, the adventures and the misadventures that, in some cases, not even the most imaginative novelist would have been able to invent. 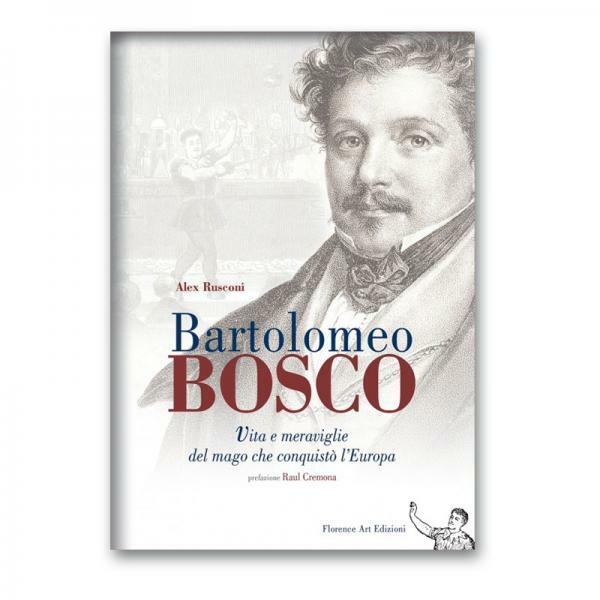 "256 pages that fill an emptiness lasting more than a hundred years, a void in which Alex makes us discover things about Bosco that no one imagined: children, loves, successes, whistles and flasks. A very rich volume. " "I do not think there can ever be another artist with the talents and talent of Bosco."